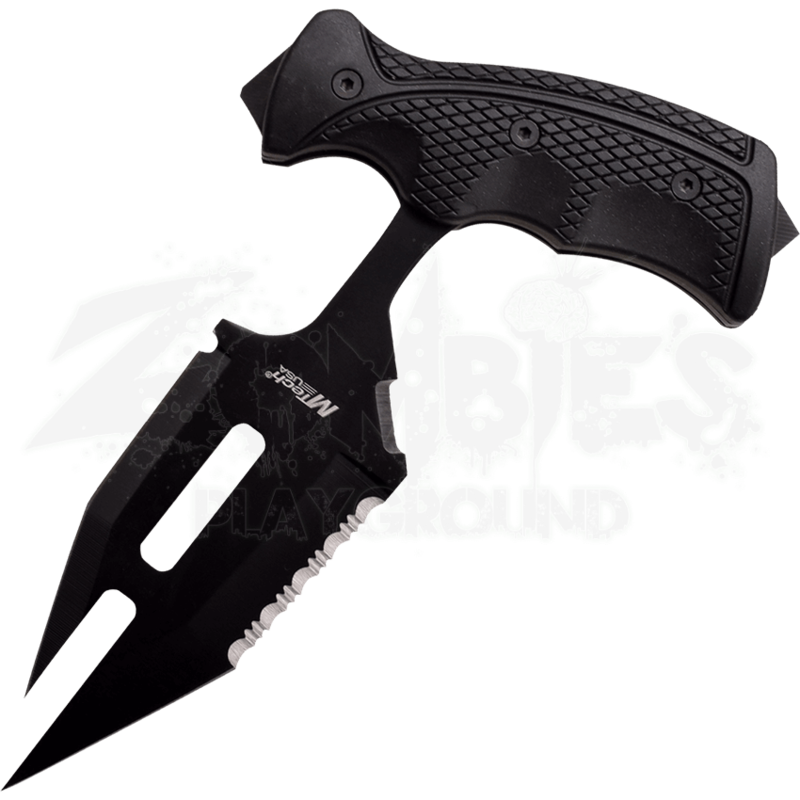 With double the piercing power of a normal punch blade, the Split Black Push Dagger is the weapon you need to give you a leg up in any combat situation. This dagger will show off your combat skills with a dramatic edge. The black finish on this stainless steel blade adds a tactical look, while a cut out hole lightens the blade and serration increases utility. The handle of the weapon is a pistol grip design made of rubber which sits firmly in your hand as you continuously punch your unlucky foe. The blade of this dagger, more than five inches, is longer than a normal push dagger, impressing and intimidating anyone who sees it. 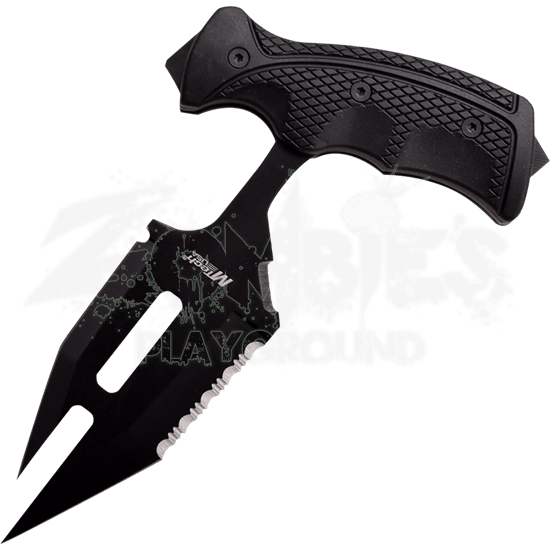 Pull the Split Black Push Dagger out of its nylon sheath to prove your superior abilities in combat and self defense.